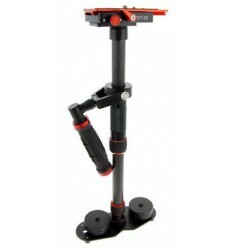 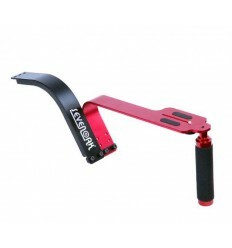 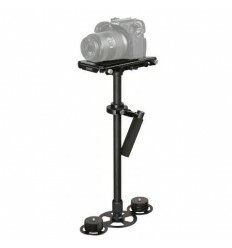 The Sevenoak SK-SW03 Mini Camera Stabilizer is a stabilizer suitable for cameras up to 2 kg. 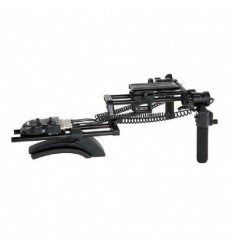 Once a camera is mounted on top of the SK-SW03, the stabilizer prevents, reduces and compromises unwanted camera movements to ensure stable and smooth recording. 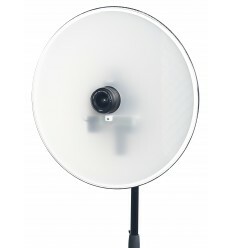 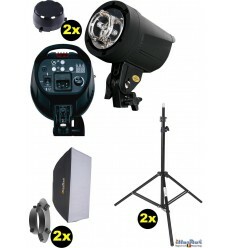 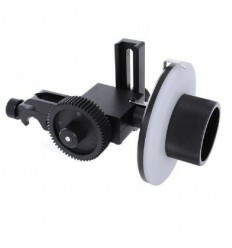 The SK-SW03 ensures stabilization of your camera/video camera through various ways. 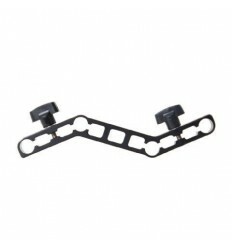 The anti-slip and quick release mounting plate can be shifted backwards and forwards and left and right. 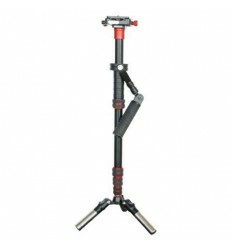 The included counterweights (and amount thereof) can be attached to the bottom of the stabilizer to distribute the weight as desired. 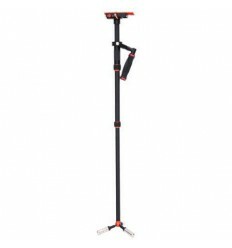 The height can be adjusted between 33 and 48 cm. 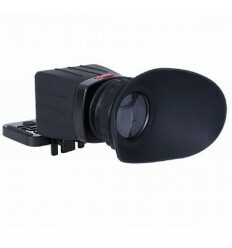 Once you have adjusted the SK-SW03 to suit your needs, the camera will retain its stability regardless of the unsteady movements made by your hand.